Often companies waste many efforts and money on new customers’ acquisition, while ignoring their existing customers. Do you know that increasing customer retention by 5% can lead to an increase in profits of 25%-95%. By comparison, the likelihood of converting an existing customer into a repeat customer is 60-70%. 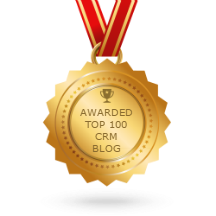 Does this mean that it is time to foster the efforts in a new direction and focus on customer retention? Let’s delve deeper into it. 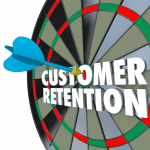 Read the article: “Customer Acquisition Vs Customer Retention”. Whether to focus on customer acquisition or retention is a time-old debate, which continues to split the views of business professionals. Times are changing, competition is growing and buyer trends are shifting. For these reasons, it is more important than ever for businesses to understand what yields the best results. Great importance is often placed upon acquiring new customers, it’s seen as a quick and effective way of increasing sales revenue. However, in reality it can take longer and costs up to seven times more than retaining an existing customer. Customer acquisition is necessary, but it cannot work in isolation. Of course, all businesses need to attract new customers, but once a customer is gained, focus should be given to retaining that customer and developing a long-term relationship with them. Building strong relationships with your customers is another way of acquiring more customers through referrals. Will these types of incentives attract loyal customers? Key Point: Customer acquisition is vital to grow. To create loyal customers it is important to understand why they buy from you. By getting to know your customers you can begin to anticipate future needs and provide products and services that are “attractive”. Utilise data to fuel loyalty strategies and improve customer experiences, which will help your business grow. What’s more, by providing outstanding customer experience your customers will recommend you to friends, family and colleagues. Retention may appear to be a longer, slower process, but retention is a sustainable business model, something we discussed on Freshbusinessthinking.com. Key Point: Customer retention is key to sustainable growth. 1. It has been shown over and over again that 80% of a company’s future profits will come from 20% of their customers. To increase success rates, it’s important to understand where you are now – what activity is most effective for your business? What is the current split of sales revenue between new and existing customers? Once you have this data, you can calculate the cost and impact of uplifting revenue from your existing base, compared with the cost and impact of lead generation activity to decide on a suitable strategy to achieve this.